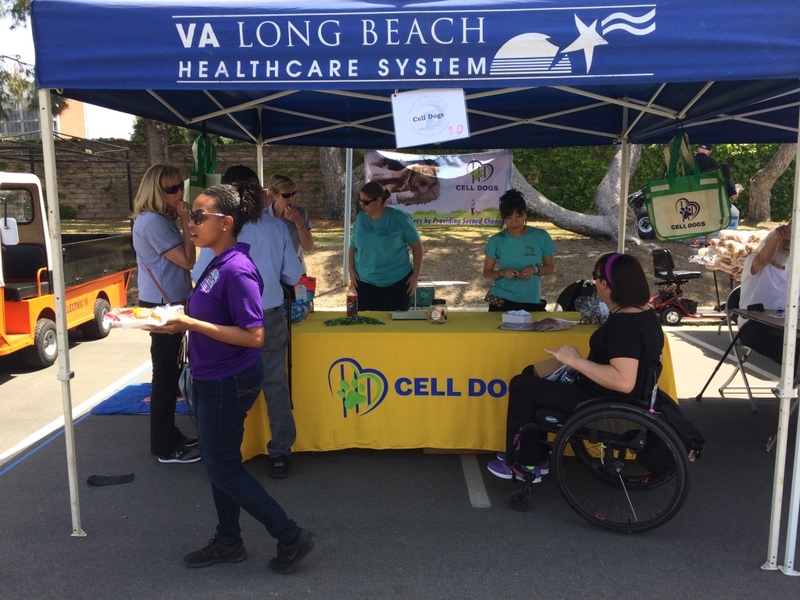 Cell Dogs attended the 4th Annual Adaptive Sports Expo: Explore, Engage, Thrive! 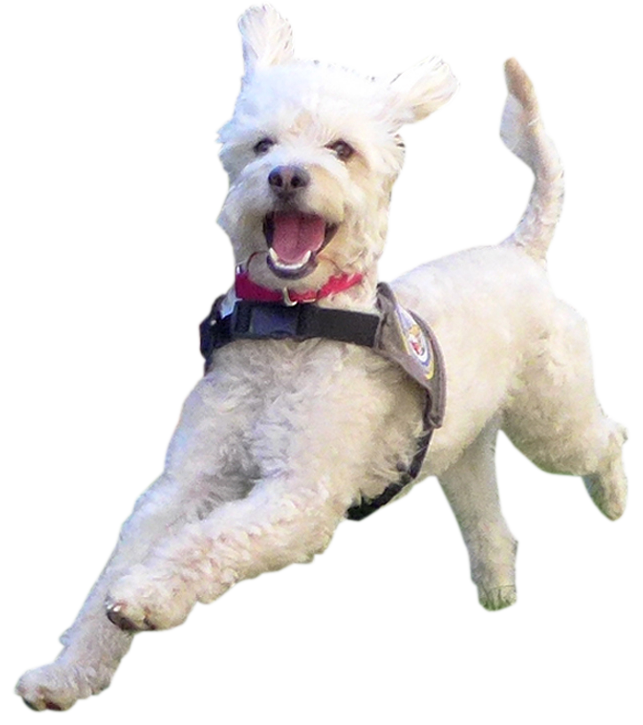 on April 13 hosted by the Spinal Cord Injury Center, Tibor Rubin Medical Center at the VA Hospital in Long Beach, CA. With over 700 in attendance, our booth was very busy and we talked to a lot of people about our program expansion (training service dogs for individuals with PTSD within our Advanced Training Program). We also learned a lot about the needs and wants of the community. Bailey and Ruby made appearances and patiently allowed the crowd to recharge by interacting with them appropriately. The event was extremely successful and informative as we have already received a number of inquiries from veteran attendees who are interested in getting a service dog from us.